Dr. Brent Kandarian took his vast amount of knowledge and created the Stabil-Dent Denture Stabilizer as a method to stabilize the lower denture. Several years ago two of his patients asked him to create something they could afford rather than having to have costly dental implants to keep their lower dentures in place. Dr. Kandarian had a couple of ideas and started working on a prototype. Through trial and error and several designs Stabil-Dent was created. The design was tested on several volunteers and now Dr. Kandarian and Glacier Denture Center are focused on sharing Stabil-Dent with the world and helping all those who struggle with loose lower dentures. Dr. Kandarian moved to Kalispell, Montana in 1983 and became the co-author of Initiative 97, The Freedom of Choice in Denture Services Act 1984. This initiative was overwhelmingly passed by the people of Montana and became the first state to recognize Denturitry, an educational based qualifying requirement. 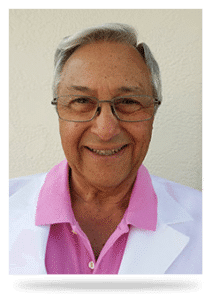 Dr. Kandarian opened Glacier Denture Center in 1983 and is active in the legislative and legal processes for denturitry and medical denturitry. Dr. Kandarian has instructed in laboratory and clinical procedures as well as advanced denture and partial denture design & construction in the laboratory as well as the clinical applications, temporomandibular joint dysfunction [TMJ]and centric recognition and registration. He holds Fellowships in Dentures, Partial Dentures, Temporomandibular Joint Disorders, and Implantology from the American Academy of Medical Denturitry.